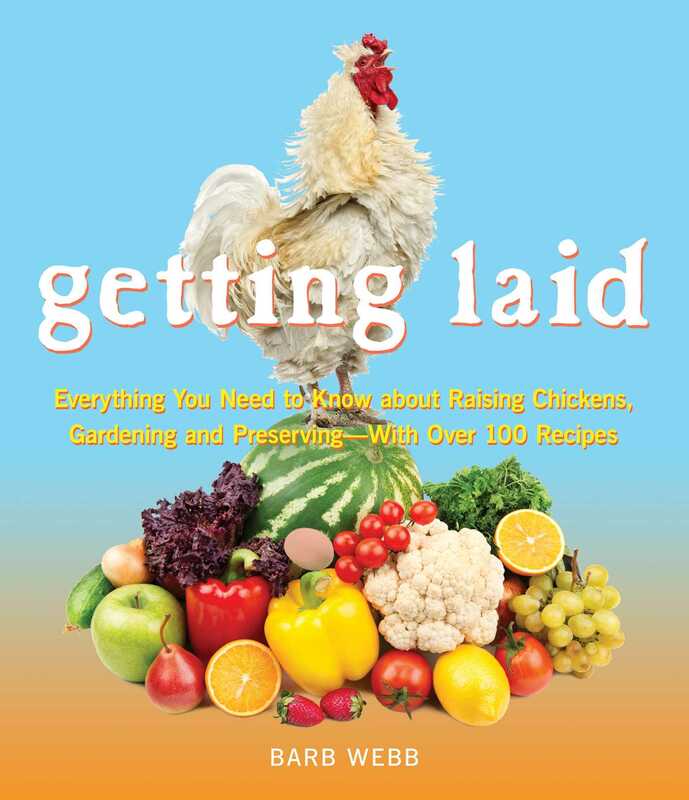 Everything You Need to Know About Raising Chickens, Gardening and Preserving — with Over 100 Recipes! Sustainable living boasts no boundaries. You don’t need massive amounts of acreage or even a fenced-in backyard. We may not be 100 percent sustainable in our lifestyle, but we can become better in-tune with our environment and conscientious of our actions. Like all aspects of life, it’s about balance, finding ways to live a greener, cleaner life within the parameters of your current lifestyle. Top blogger for country living, Rural Mom, shows us the (actually very easy) way to live a sustainable lifestyle without making ourselves crazy in the process. Why does even Jennifer Aniston raise chickens in the Hollywood Hills? Easy answer, it is extremely cool to raise you own hens. Eat the organic eggs and lie back on feather beds from your own brood. And what about you? Author Barb Webb believes there's a farm girl in all of us and she helps you find yours! What initially drew you to the idea of raising chickens, organic gardening and incorporating more sustainable living practices into your lifestyle? Are you interested in saving money, eating a more healthy diet, being on trend, going more “green,” or saving the planet one plant at a time? Whatever the reason, the good new is all of the above motivators are real, tangible end-results of sustainable living. SUSTAINABLE LIVING IS… a) reducing your carbon footprint b) eating organic and “living off the land” c) living in harmony with the earth d) using resources efficiently and investing in renewable resources e) creating a better future for the next generation f) protecting and nurturing our natural resources g) eliminating waste and recycling h) actively pursuing a balanced and simplistic lifestyle i) spending money and resources in a frugal way j) our economy, social structure and natural environment working in agreement for the betterment of the world Sustainable living has many definitions and interpretations that have developed over time. In its basic definition, the Merriam Webster Dictionary defines sustainable as “able to be used without being completely used up or destroyed,” and living as “full of life or vigor.” In a nutshell – as sustainable living agents, we are ultimately defenders, maintainers and supporter of life! Our mission is of the utmost importance to ourselves, our environment and our future generations. Our mission is also easy. In fact, it takes less than five minutes to incorporate one sustainable living practice into your life right now but the effect of your action may have an ever-lasting positive impact for the world.